One of the first rules of proper skin care is to always remove your makeup before going to bed. It’s a good rule if you want to let your skin breathe while avoiding clogged pores, breakouts, irritation, and dull looking skin in the morning. However, if you’ve ever tried to remove makeup using a standard foaming cleanser, then you know that completely and easily removing your makeup every night is easier said than done. Not only do some cleansers have a hard time removing eye makeup, sudsy face washes can also cause major eye irritation, redness, and burning. 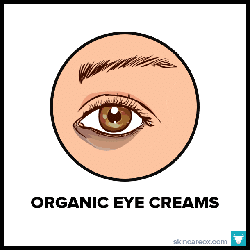 Also, excessively rubbing a harsh cleanser on your delicate eye area can lead to dry skin and fine lines. So, what is a makeup lover to do? Thankfully, there is an easier (and less painful) way to remove makeup every night: use a natural product designed to effortlessly remove makeup. Instead of trying to cleanse your face and remove makeup in one step, many dermatologists recommend that you remove your makeup first as a separate step of your skin care routine before cleansing. There are a few types of makeup removers that are great for this: makeup remover wipes, natural cleansing oils, and micellar waters. Makeup Remover Wipes: These are pre-soaked sheets that make it easy to remove makeup on the go or touch up existing looks. There is a little controversy over the safety and effectiveness of makeup remover wipes. Some dermatologists say that makeup remover wipes are too harsh on the skin and don’t do a great job at removing all of the impurities from the skin (which can lead to blemishes, irritation, and dull complexions). Dermatologist Dr. Craig Kraffer told the Huffington Post “Makeup wipes are quick and convenient but not optimal for overall skin health.” With that said, if you like the convenience of makeup remover wipes, then be sure to use them gently and follow up with a cleanser. Natural Cleansing Oils: Natural oils are the champs when it comes to removing every trace of makeup from your skin. These oils (like coconut, castor, and olive) break up makeup by binding to dirt and excess sebum. Simply apply, massage, and wipe away the grime. As an added benefit, natural carrier oils are packed with fatty acids and antioxidants which can help to nourish your skin as you cleanse. Micellar Waters: These products are made with tiny oil molecules called micelles which are suspended in a water-based solution. These oils attract and bind to dirt, makeup, and sebum in the same way that natural cleansing oils do but much more effectively. Micellar waters are great for on-the-go facial cleansing because they combine cleansing and toning in one step. However, if you are using micellar water as your daily makeup remover at home, then it is recommended that you follow up with a cleanser after use. As with all products, not all makeup removers are created equally. Cleansing oils, makeup remover wipes, and micellar waters can be made with harmful and/or irritating ingredients like alcohols, parabens, phthalates, mineral oils, phenoxyethanol, formaldehyde, polysorbates, PEG’s, synthetic fragrances, propylene and butylene glycol, and many others. If you wear makeup every day, then you should be concerned about these undesirable chemicals being absorbed into your skin or getting into your eye. 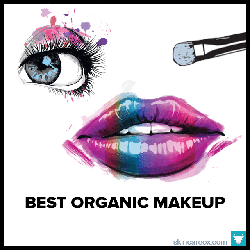 The best way to avoid these gnarly chemicals is to use an all-natural and organic makeup remover product. A great natural makeup remover will be made with uber gentle ingredients that won’t burn your eyes while still being potent enough to remove the most elaborate makeup. We tried over 50 different natural makeup removers to come up with this list of our top 15 products. These makeup removers are formulated by trustworthy natural skin care brands, contain no naughty chemicals, and are exceptional at removing makeup. As always, all ingredients were thoroughly researched and checked against the Environmental Working Group’s Skin-Deep Database for safety. We hope that you find your perfect match! Don’t want to spend a ton of money on a fancy natural makeup remover product? Check out our DIY Natural Makeup Remover Guide below for tips on how to make an affordable, single-ingredient makeup remover using natural oils. These organic makeup remover wipes are made with RMS Beauty's signature 100% organic coconut oil. They come in convenient individually wrapped packages and each wipe is soaked with a good amount of oil. Only one cloth was needed to remove eye and face makeup (using both sides of the wipe). The product was incredibly gentle on the eyes and caused no irritation. Ideal for drier skin types who can't afford to strip away their skin's precious natural oils when removing makeup. SW Basics has made a really simple makeup remover made from 100% organic oils of sweet almond, olive, and jojoba. These are some of the gentlest oils for your skin, so even sensitive skin types can handle it. It does a great job of breaking up stubborn eye makeup without causing irritation or burning of the eyes. Best of all, it doubles as an all-natural moisturizer so you don't even have to wash it off. The oils have a low comedogenic rating and shouldn't cause clog pores. If you want to try the micellar water hype, then this organic and natural option from Sky Organics is a good place to start. It is made with gentle ingredients and it's non-comedogenic (so it won't clog your pores). To remove makeup, just soak a cotton pad with the water and gently press the pad against your eye for a few seconds while the product dissolves the makeup. Then, simply wipe it all away. The product did a surprisingly great job at clearing heavy makeup without the need to scrub. This Pre Cleanse Oil from True Botanicals is made with 100% organic oils of jojoba sesame, apricot, and bergamot fruit. It is gentle, yet super effective at removing makeup, dirt, and excess oil. To use, massage the silky oil onto your skin and eye area to remove makeup and daily grime. Then, layer your cleanser on top and rinse as usual. Your skin will be glowing from the very first step of your routine. It's a nice sized bottle that can last a good while if used judiciously to remove daily makeup. Made from 100% USDA Certified Organic oils and extracts, this cleansing oil erases makeup while nourishing the skin with clean ingredients. It contains sunflower oil, castor oil, jojoba oil, camellia seed, borage extract, horsetail, and rosemary. It glides on easily and dissolves all dirt, oil, and makeup in its path. You can use this oil as a standard makeup remover on a cotton pad, a standalone nightly cleanser, or follow up with your traditional cleanser. Won't clog pores or cause breakouts. 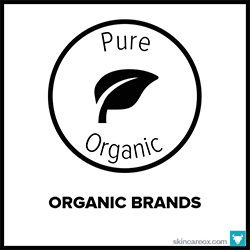 A really solid USDA Certified Organic makeup remover at an affordable price. Doesn't sting or cause eye irritation and is made from totally organic ingredients like olive oil, carnauba wax, orange oil, geranium oil, burdock root, green tea, and shiitake mushrooms. It goes on like butter and leaves the skin feeling really moisturized. In our trial, two cotton pads soaked in this product were required per eye for very heavy makeup removal. The product worked exceptionally well at removing daily makeup. A natural makeup remover and eye treatment all packed into one totally natural and organic product. The star ingredient in this treatment is Eyebright, a potent antioxidant herb extract that has the ability to ease muscle tension around the eyes. While we did not notice any significant reduction in eye tension (one tester reported a slight reduction in puffiness), this product did do a great job as a makeup remover. Two pumps onto a cotton pad were enough to get the job done easily. Best for dry skin types. Honey Girl Organics uses honey, bee pollen, and propolis harvested from their ethically raised beehive in all of their products. This natural makeup remover is made from those ingredients as well as organic olive oil and lemon oil. It effectively removes makeup while being gentle on the skin. Simply massage the cream onto the skin and either rub off the excess with a cloth or rinse with water to remove. A great product for acne types due to the antibacterial properties of propolis and bee pollen. This holy grail of cleansing oils is a luxury splurge that you won't regret. 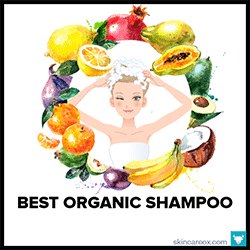 The oil is made from organic and natural oils like tamanu oil, camellia oil, macadamia nut oil, olive oil, plum oil, sweet orange oil, and others. Tamanu oil is great antibacterial oil for acne prone skin and it even helps to keep pores clear. To use, apply 4-6 pumps to dry skin and massage away dirt, oil, and makeup. Follow up with a traditional cleanser or steam treatment before applying other products. This lovely makeup remover is made with 100% organic and wildcrafted oils and botanicals like chamomile, frankincense, jojoba, and lavender. Simply add a few drops to your eyelids and gently massage to loosen up makeup. Use a warm cloth or cotton pad to wipe away the oil and dirt when done. Can also be used as an oil cleanser to remove facial makeup. The oil did a good job of removing heavy makeup, but it required about a minute or so of massaging each eye. Suitable for all skin types. This Australian Certified Organic makeup remover from Inika Organic is suitable for both dry and oily skin types; however, it is recommended to use at night for oily skin types. 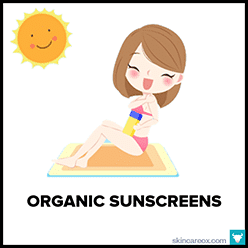 The key ingredients are sunflower oil, jojoba oil, and rosehip seed oil. 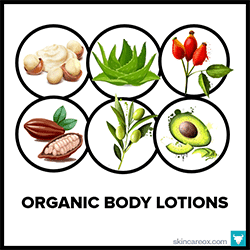 These oils absorb easily into the skin without causing greasiness and may even help to regulate oil production. The formula is fragrance free and non-irritating. We were impressed with how little product was needed to remove daily makeup using a cotton pad. This natural makeup remover is an all-star when it comes to removing stubborn makeup without drying out the skin. After cleansing, skin is left feeling very soft and supple. It has a lovely creamy consistency that gently removes eye makeup without causing irritation. So, you can really get in there are massage eye makeup away. It is made from 98% natural and 59% organic ingredients like aloe, lupine protein, rose oil, wild mango, and ylang ylang oil. A luxury product that is worth the price tag. 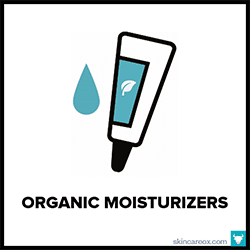 Want an organic makeup remover that doubles as nighttime treatment oil? Then look no further than this lovely organic Goodnight Oil. It contains just five potent ingredients: jojoba, prickly pear, castor oil, frankincense, and myrrh. 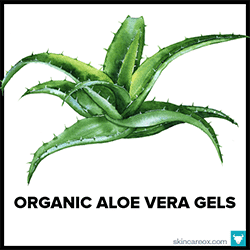 These ingredients are good at moisturizing the skin, clearing pores, and soothing irritated skin. Easily removes makeup while also acting as an eyebrow and eyelash treatment. It absorbs so nicely into the skin, you won't want to wash it off (hint: don’t). This natural makeup remover is made up of tons of organic ingredients like aloe, witch hazel, cucumber, green tea, and sweet orange essential oil. These ingredients are great at removing stubborn makeup while still being gentle on the eyes. However, the product did have some trouble removing waterproof makeup easily. All in all, this product had a great smell while also being fairly clean and effective at a good price. A good formula for oily skin types. You don’t need expensive formulas to remove makeup effectively and gently. In fact, your next favorite makeup remover may just be sitting inside of your kitchen pantry right now. Check out these simple DIY natural makeup removers made from just one single-ingredient.